What do the codes mean on the GTIN carton labels of field-pack items? What do the codes mean printed on the carton & bag of Value Add product? 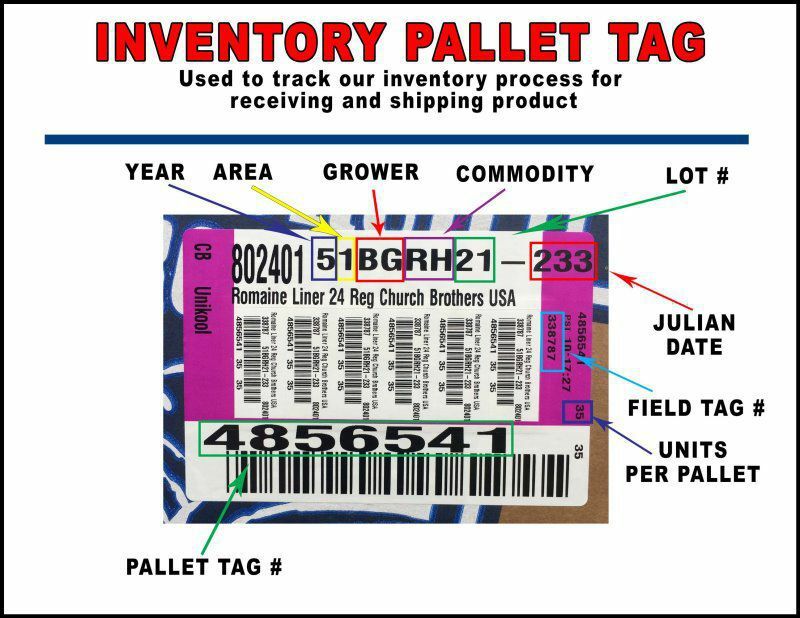 What are the codes on the pallet sticker? The menu at right describes all the tender baby leaf varieties commonly used for spring mix and custom blends. 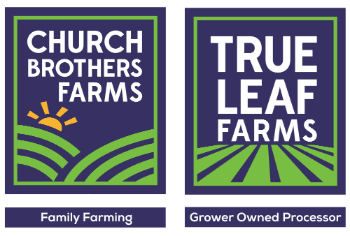 Tender leaf refers to any leafy greens that do not need any chopping, dicing, shredding, etc. What is the conversion from field pack? We get these questions often: How many heads are in the processed pack? This table is a tool to help answer those questions. 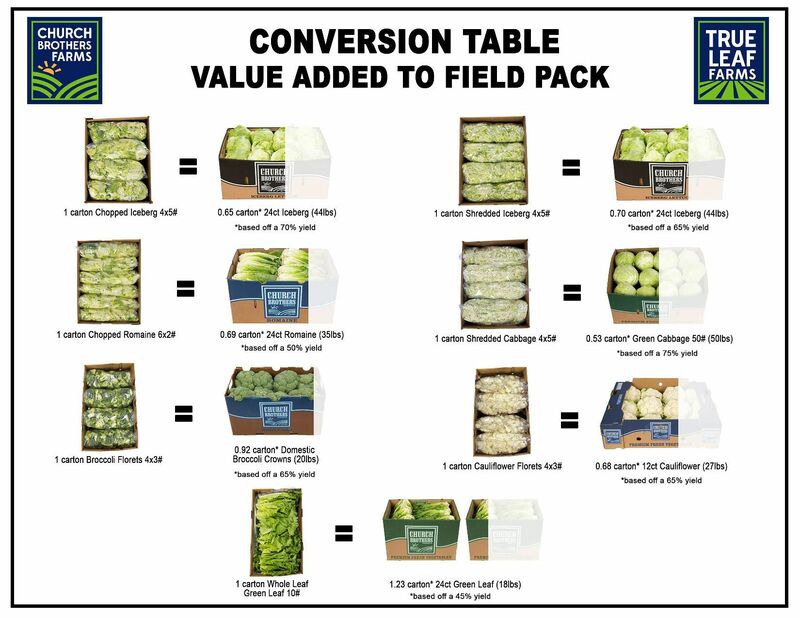 The weights and numbers* used in this table can not be used as product specifications and we recommend confirming your own yields to equate a final conversion rate. Where do you grow Romaine? 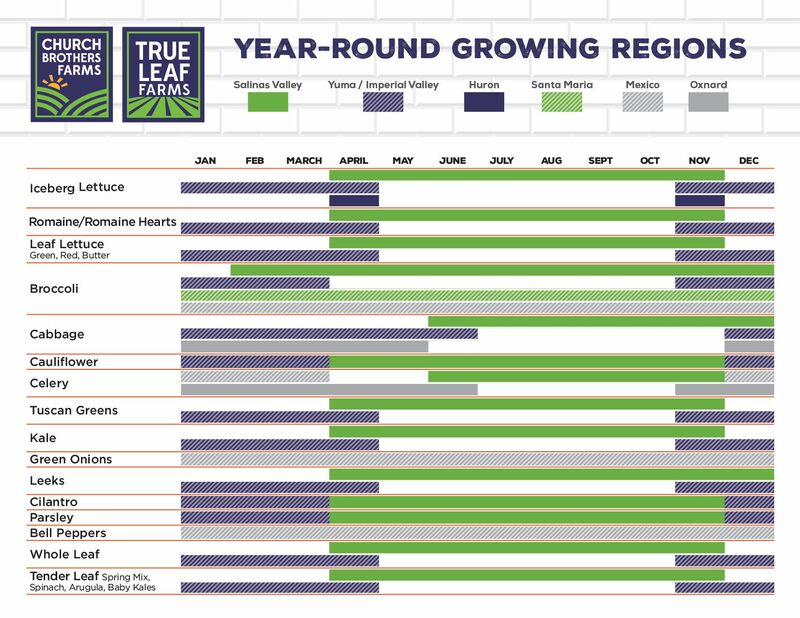 Click on this graphic for our year-round growing regions. How healthy are leafy greens?